On behalf of Admin of JML Law, A Professional Law Corporation posted in Pedestrian Accident on Friday, Jan 18 2019. We all know what it is like to experience anger while driving. We have all hollered at some driver for doing something we perceive as stupid, or we have thrown up a gesture or two to show our distaste for whatever just happened. Road rage isn’t really a new thing, but some people have been taking it to the extremes. These extremes often cause crashes which result in injury or fatality. Road rage isn’t something to take lightly as aggressor or victim. Unfortunately, road rage can affect more than just the other driver. Sometimes road rage can affect pedestrians in the area too. Some people think road rage is when people go crazy and start to attack other drivers by getting out their car. This just isn’t true. Road rage is also aggressive driving such as speeding, changing lanes without signaling, tailgating, and illegal maneuvers. These aggressive driving tactics account for 1/3 of 94% of collisions that are due to human error. Other signs of aggression are honking the horn, flashing lights, rude gestures, and shouting. 50% of drivers have confessed to engaging in such behaviors after being a victim of road aggression themselves. What is even scarier is that on top of all these behaviors, a whopping 37% of road rage incidents involve at least one firearm. About 30 deaths a year are linked to road rage. These statistics are startling but tell a very true story. In Long Beach, at the end of 2018, a 54-year old man was arrested for a road rage incident that included the injuring a motorcyclist and a pedestrian. The old man had fled the scene leaving a motorcyclist in critical condition and a pedestrian with a broken leg. The old man was driving a silver pick up truck when he became enraged. In an act of road rage, the man in the silver pick up clipped the back tire of the motorcycle which sent the rider flying through the air and landing on a retaining wall. The motorcycle was then out of control and hit a pedestrian who was walking near the incident. The old man fled the scene, but when he was found the marks on his pick up were consistent with the accident. This kind of incident put two people in the hospital and out of work for a while. The pedestrian suffering from a leg injury is entitled to compensation as much as the motorcycle rider. 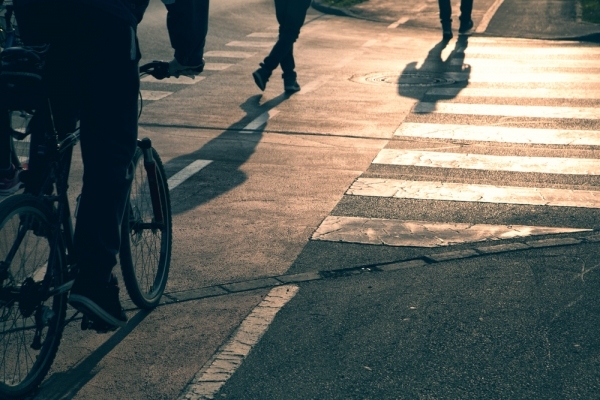 If you have been injured by a vehicle as a pedestrian, you have just as much right to be compensated. Our Long Beach Pedestrian Accident Attorney at JML Law, a Professional Law Corporation are here to fight for just compensation to your injuries. We have worked with clients in various situations and have successfully received compensation via a settlement or going to court. With our aggressive tactics, we put all of our attention on your case. Call 818-610-8800 or click here to start a conversation with our legal team today.